We’ll be keeping you updated on where we’ve been (and where you can join us next!) on this page. UPCOMING – Come celebrate with us! If we’re not marching, you’ll find our stall on site, so come and say hi! 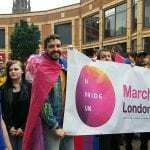 July 7: Pride in London – add yourself to the waiting list to march with us, and hang out with us afterwards! 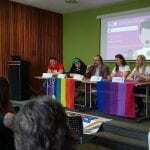 July 14: Glasgow Pride – march with us! 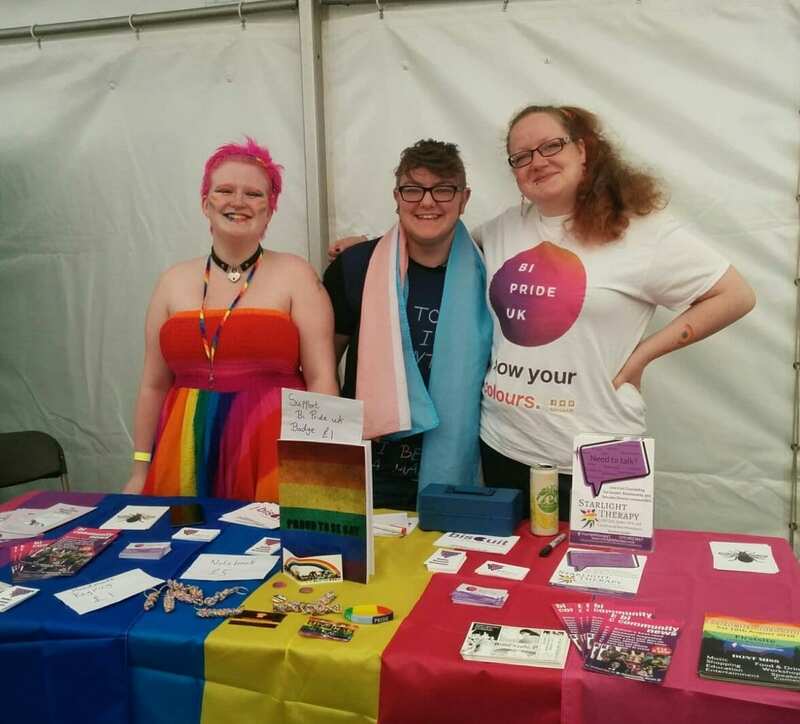 July 14-15: Bristol Pride – march with us, and come hang out with us on the Sunday! 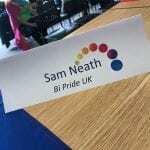 July 21: Isle of Wight Pride (UK Pride) – march with Bi of Wight and us! 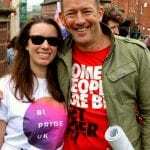 August 4: Brighton Pride – march with us! 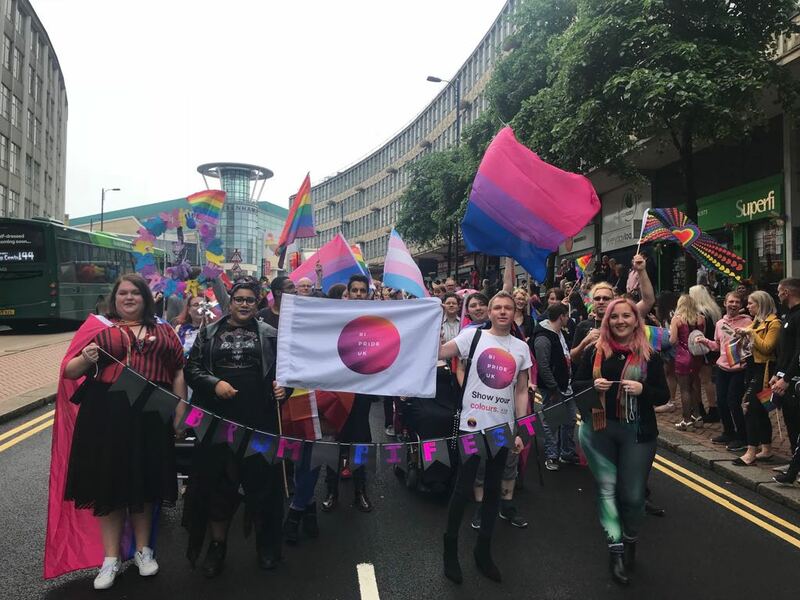 August 5: Leeds Pride – we’re marching with Leeds Bi Group – join us in the parade, and at Leeds Bi Group’s brunch beforehand! 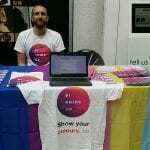 The first person to come up to our stall was a student wearing an ‘I am 16’ badge and a bi flag as a cape, there with a parent. They were so excited to see us, and scraped the cash they had on them together to buy a t-shirt. It was wonderful to see someone so young already comfortable and proud of their identity! 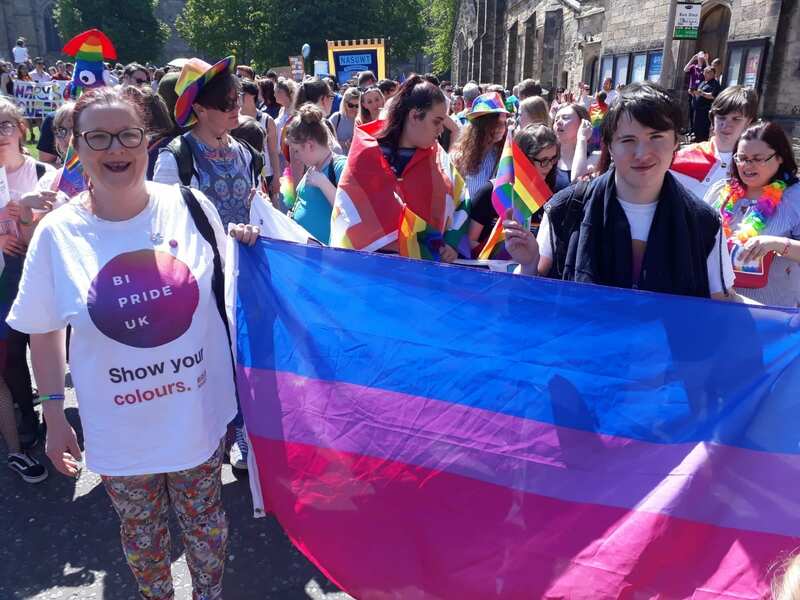 Waiting for the Durham Pride March to start I was approached by a family, and they wanted to know about the bi pride T shirt. 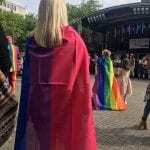 “I am pan but I only admitted it to myself this year” one of the parents explained “You are the second person I have told after my partner – at my first pride!” We had the biggest hug!